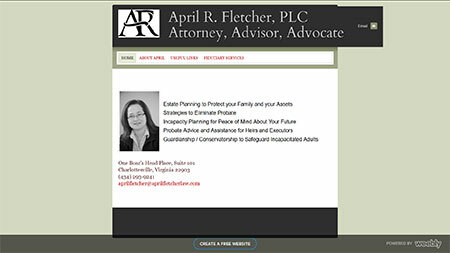 April R. Fletcher is an attorney, advisor and advocate specializing in estate planning, guardianship/conservorship, and assistance for executors, trustees and heirs. This was a redesign project. The original site was done in one of those free, DIY-type sites that promise professional results with “just a few clicks”. 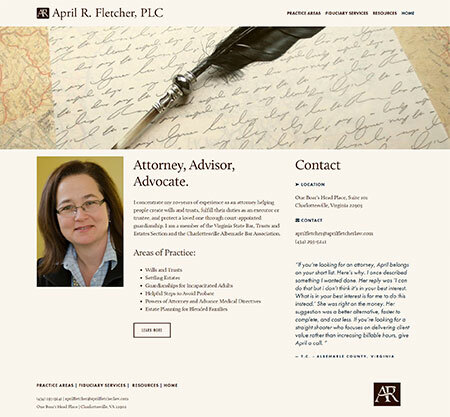 Our client came to drw Design because she decided she wanted professional results done by a professional.